Striker Lee Angol will be on his way from Kenilworth Road after he turned down a new deal with the club. The 20-year-old spent last season on loan with Conference South side Boreham Wood, where he finished as the club and division’s top goalscorer. 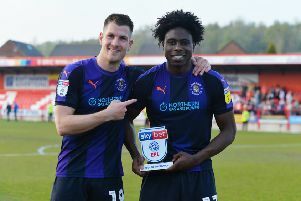 His contract at Luton ran out in the summer, and he was offered a new deal, but it now appears his future will be elsewhere. Hatters will be due a fee for Angol should he leave, while Still wouldn’t be drawn on whether he felt Angol’s head had been turned by speculation surrounding his future.